August amid rising risks of global recession. 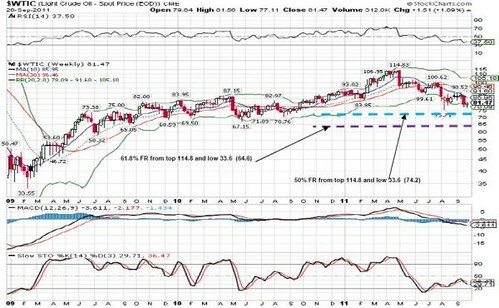 # On the other hand, deteriorating economic outlook and failure to tackle the euro-zone debt crisis in the near term will dampen sentiment and trigger another round of selldown towards US$75-79 territory. 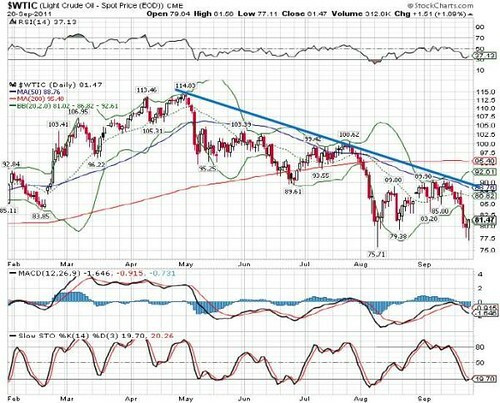 A global recession may see prices sliding further towards US$65-74 levels.